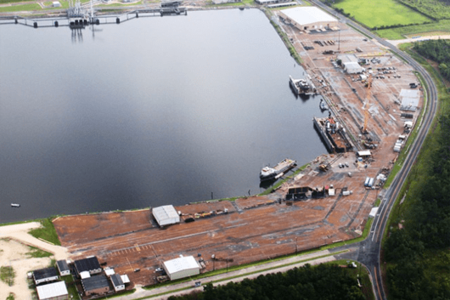 Our Lake Charles facility is the ideal shipyard for quick repairs and upgrades. 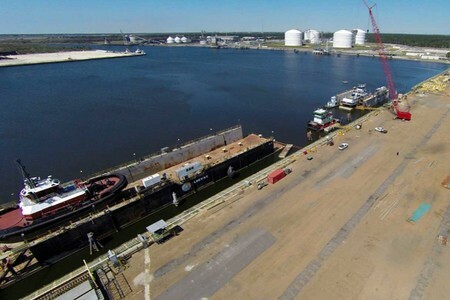 It’s located on the Calcasieu River, just one mile from the main ship channel and Gulf Intracoastal Waterway. The facility is located 17 miles from the Gulf of Mexico and has no overhead restrictions. 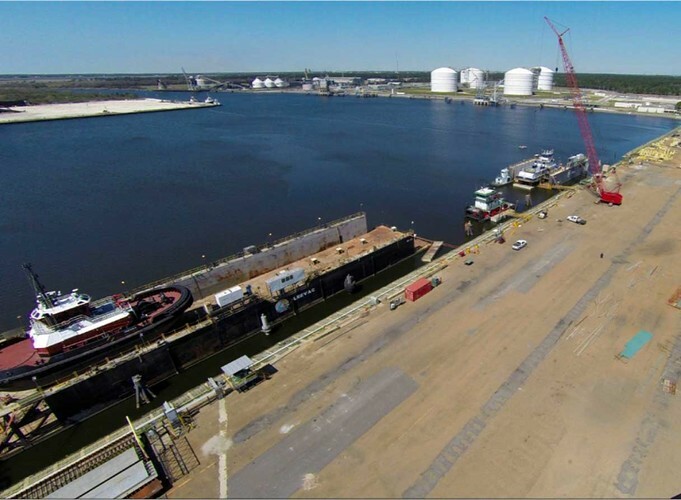 Our Lake Charles facility is regularly engaged in drydocking tugs, barges and offshore support vessels. This 10-acre complex is 100% concrete and asphalt with 1,100 feet of bulkhead and a controlling water depth of 40 feet.